A few days before John Robert Parsons photographed her, Rossetti wrote in a letter to Jane Morris: ‘…The photographer is coming at eleven on Wednesday. So I’ll expect you as early as you can manage…’. The narrative and voice are from an off-the-cuff recording for my exhibition at the William Morris Gallery. If you want to buy the cd or simply leave a comment please go to the contact page! By subtly pervading both my art and my subconscious, Jane Morris has built herself a Memory Palace. Gradually, a very personal relationship with her developed, through a series of remarkable dreams. 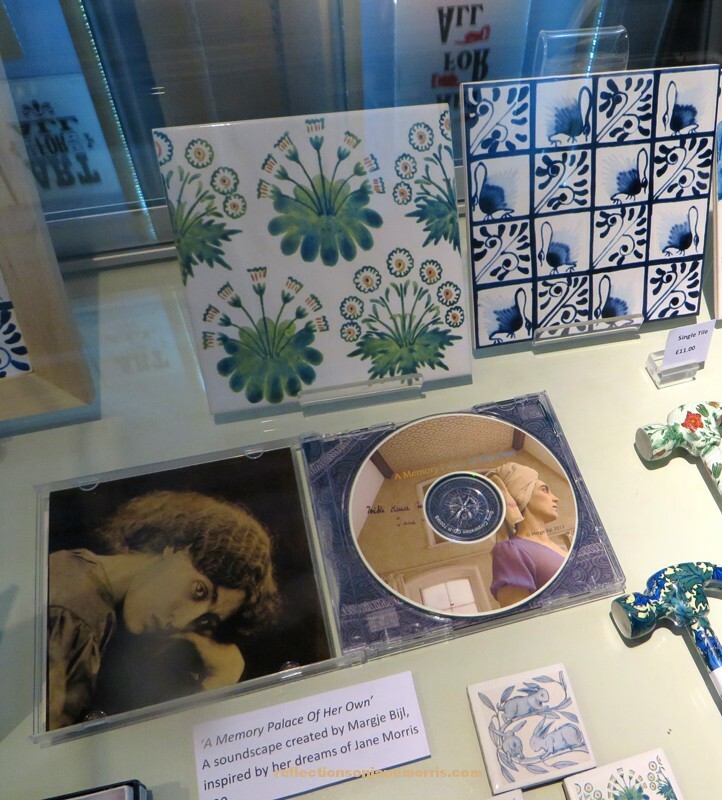 A limited edition CD was made especially for the private view of my exhibition ‘A Memory Palace of Her Own’ at the William Morris Gallery in 2014. I greatly enjoyed making this off-the-cuff recording with composer Jolle Roelofs, who is also responsible for the editing of the sound fragments and the improvisations on ukulele and piano. In this fragment I will be meeting Jane and William Morris. There are no more limited edition CD’s for sale at the William Morris Gallery. If you are interested in a copy just let me know and I can send you one.